Shaq returns in ShaqDown 2. Time to get your hands dirty on a real fight. This time it is a massive 3D action/fighting episodic game experience. Shaq has made the decision he can no longer in good conscience, protect what remains of the human race on his own. Now for the first time ever play as Jet Li and Muhammad Ali in the same game and save the Earth! 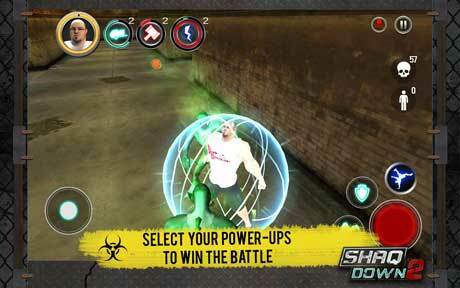 Download ShaqDown 2 for FREE and enter a dark world where the Earth’s greatest champions are engaged in the ultimate battle for survival in the face of a Zombie apocalypse. The only game on any platform that lets you play as Jet Li, Muhammad Ali, Shaquille O’Neal, Brian Shaw, and Lee Kemp. Champions from Wushu, Boxing, Basketball, Strongest Man Competitions, and Wrestling! Each champion has a unique fighting style and attacks to defeat the Zombies. You select the battle outfits for each Champion. Each has champion specific abilities that will help you win the war. ○ MASSIVE, CONTINUOUSLY UPDATED CONTENT. EVOLVING STORYLINES. Shaqdown 2 is constantly evolving and expanding. Every update features new content intended to make your game even more enjoyable. – Travel across 10 regions in different parts of Los Angeles. – Grab your favorite Champion and try their various Power-up Attacks. 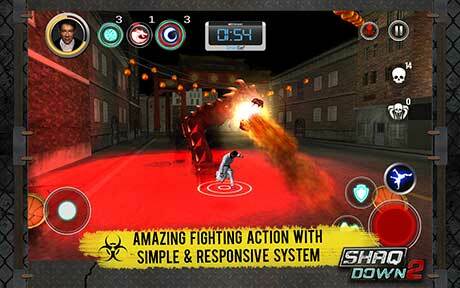 – Go for the action in more than 500 gameplay scenarios. Choose between a touch control scheme or an enhanced virtual joystick on phone or tablet. 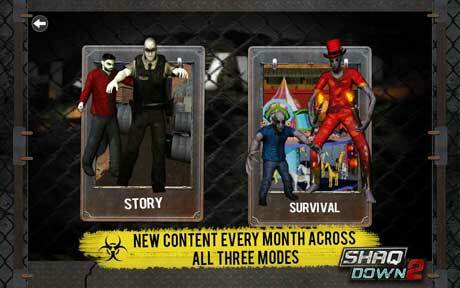 Story Mode takes you through the streets, back alleys, and airports of Los Angeles. Want a never ending battle for life? Try Survival Mode and see how long you can last. You will not become the greatest without training. Hit the Training Mode often to improve your skills and collect loot to spend. Participate in missions and receive rewards. Complete achievements, meet challenges and receive two types of exclusive in-game currency. Collect that loot! Shooting Zombies is too easy. It is time to fight them in true hand to hand combat. Forget easy-to-kill Zombies. Get ready for unique Boss battles in every level of the game. Power-up Attacks give you the edge. Time to try Tank Smash, Sky Slam, and Dragon Rising!